“The Best Damn Ride” Cuts Out all the Loud Noises in Life and Takes You to the Heart of the Music! 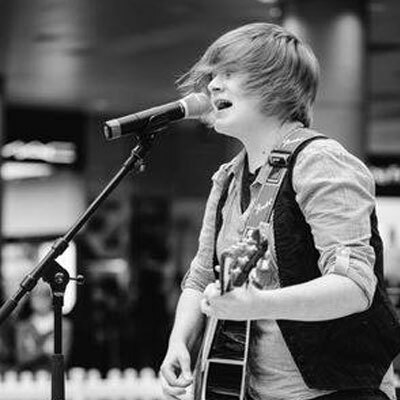 Singer-songwriter Charlie Leavy, has divided her seventeen years between Hook Norton, Oxfordshire and Morley, Leeds, West Yorkshire in the UK. Charlie Leavy’s “The Best Damn Ride” is a beautiful blend of acoustic-guitar driven adult alternative and pop, covering topics such as love, relationships, and life in general. Deep, and well thought out lyrics give a powerful peak into Charlie’s own life, as well as a pleasant listening experience. Although the music, lyrics, and vocals are all first-rate, I must say that my favorite part about the entire album is Charlie’s awesome vocals; sweet, innocent and feminine at the same time. While “The Way Life Is”, is probably the best song on the EP from a pop perspective, the other songs are excellently crafted as well – just hard enough not to be background music, yet soft enough to be relaxing and thought provoking. Charlie has this strong, clear and sweet but not sugary voice that takes every song and makes it sound like a luscious, liquid river of sound. Sometimes you’ll forget that this girl is 17 and that it’s her debut album because she sounds like she was born to sing. For such a young woman, there is so much wisdom in the songs she writes and it’s wonderful that she doesn’t try to show off or do vocal acrobatics. She simply sings! Charlie writes deep songs without being over metaphoric or artsy. She sings in a simplistic voice that fits her songs flawlessly. Just listen to “Tongue Tied” or “Running My Mouth” for confirmation. I recommend this EP to those who are tired of the bubble gum pop on the radio and finally want some sophisticated material by a sophisticated artist. To hear this level of sophistication in production is one thing for a first EP, to hear this level of sophistication in composition is quite another. Charlie Leavy really understands her writing style. This EP is such a relaxing, laid back, chilling kind of record. Charlie’s songs just cut out all the loud noises in life and take you to the heart of the music. With “The Best Damn Ride”,Charlie has produced a top shelf entry into a market currently chock full of great female singer songwriters. Quite bluntly, Charlie Leavy has real talent, and I look forward to watching it develop over the years to come and her future albums.